Interview with Sonos founder and CEO John MacFarlane | What Hi-Fi? 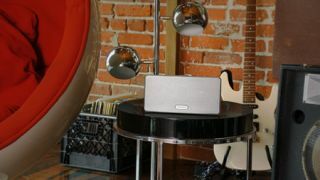 Regular readers will have seen us announce the news of the new Sonos Play 3, the aggressively priced new addition to the company’s range of ‘wireless hi-fi’ products. And in the September issue of What Hi-Fi? Sound and Vision, on sale today, our main story in the Insider section focuses on the way multiroom audio has gone from being a custom install based, high-end (or at least, fairly tweaky) niche interest to being, in 2011, a solid part of the mainstream. To that end, I spoke at length with John MacFarlane CEO and founder of Sonos, about his company’s project to bring multiroom to the masses. So John, tell me about the Play:3. This launch seems to come along with something of a ‘re-branding’ in terms of the design, packaging and marketing. Why? We wanted to make it all even easier. The Play:3 makes Sonos even more affordable, at £259 – we really wanted to bring it in under £300 – so you can now go into a store and walk out with the beginnings of a multiroom system, as opposed to a more complex ‘component’ system. In terms of the ‘brand’ element, we had a great guy called Greg Perlot come in and look at all our literature: he changed all the nouns into verbs, and basically did a great job with the language. He asked, ‘what’s the mission of the company?’ That gave us the chance to really think about those things until we had a defiitive answer, which was: ‘to fill your home with music’. Tell me about the Play:3 itself. Well, the point is that it’s a great way to start with Sonos. We don’t want to have too many products: we want to make as few as possible and make them as good as possible, as well as making them really flexible so you can partner and pair them all very easily. As for the unit itself, it has two midrange drivers, one tweeter and a passive radiator bass driver. And you can switch between using a pair of them linked together, either in two separate rooms, or match them together as a single stereo pair. I notice from the re-branding work that the phrase ‘wireless hi-fi’ is featured prominently. You clearly feel the concept ‘hi-fi’ really matters. Exactly. We aim to distinguish ourselves from the tech crowd. We are all about the experience we’re trying to deliver. We want to focus on music – not the tech. It seems to me that you have an interesting blend here: Sonos is in many ways a very ‘new tech’ company, yet much of what you’re saying could have come from a very traditional ‘hi-fi’ company. Well, this is the idea of hi-fi itself – you want to play it because it sounds great! Spotify, podcasts, iTunes: these are the new formats, but the point is to have products you love, which integrate all these things and still deliver a genuinely great experience. If I was to pick any one thing that’s fundamental about our ethos, it would be that we have to sound great. One of our advisors is Rick Rubin (Ed: legendary and highly versatile record producer with credits on artists from Johnny Cash to Jay-Z) and he put a panel of people together to advise on voicing the Play:3. So yes, we take the sound of the thing very seriously indeed. Now, the S5 (above) has been re-branded as the Play:5, and sits immediately above the Play:3 in the range. Have their been any other changes to the 5? Yes, there’s been a software update to the DSP (Digital Signal Processing) in the Play:5, one that improves bass performance. And this is an important area of constant research for us. In order to create the quality of sound that we want, at the price that we want, the development of DSP is central. Of course, the amps and speaker drivers have to be right in the first place, but we can very precisely solve any problems in the sound processing software, instead of the transducers themselves. The word ‘wireless’ is everywhere nowadays. Tell me about the proprietary Sonos ‘mesh’ network. Well, as always with us, the idea is that the tech must serve the goals of the user. And wi-fi has never, in fact, really been designed to be all that user-friendly. What we love, for example, is the easy, two-button setup. I would argue that wi-fi would be a lot better if they had designed it to do that. The other thing about wi-fi, of course, is that it’s run by tech people who don’t really care about consumer electronics. So, we use the system we do simply because it’s easier for the user. Do you get flak from the custom install people? Is there a perception that by democratising multiroom audio you’ve mortally hurt the install business? No. In fact, I would say that since 2008 – when the custom install business suffered a lot – we’ve been a useful option for them. Don’t forget, the custom installers have a unique place: they know how all this stuff works, and they can go to a customer, and where it’s appropriate they can use Sonos to offer a much lower price point. In any case, the much bigger impact on custom Install has been the lowering price of flatscreen TVs. So really, Sonos allows those guys to go after a completely new kind of customer. What about Apple AirPlay? Is it a threat to you? No, I don’t see it as competition. In some instances, we use AirPlay, and ask customers to get an Airport Express. Remember, AirPlay is video as well as audio, so I see it as a nice feature, not as competition. In terms of music and the user experience, you can compare one of the premium iPod docks to a couple of Play:3s – roughly the same price – and to me, well, it’s no competition at all. So, what's your vision for the future? Where do you see consumer electronics going in the next few years? In our vision, ten years from now, all systems will be multiroom systems. You know, when we started, we looked at all the competition out there, including all the most forward-thinking and successful brands. We looked at Bose, for example, and we realised that, for all their qualities, there was no real benefit to the consumer of linking their products together. So what we set out to do is achieve what we now have: a person who bought Sonos in 2005 can make what they bought better... by buying a new Sonos product now.